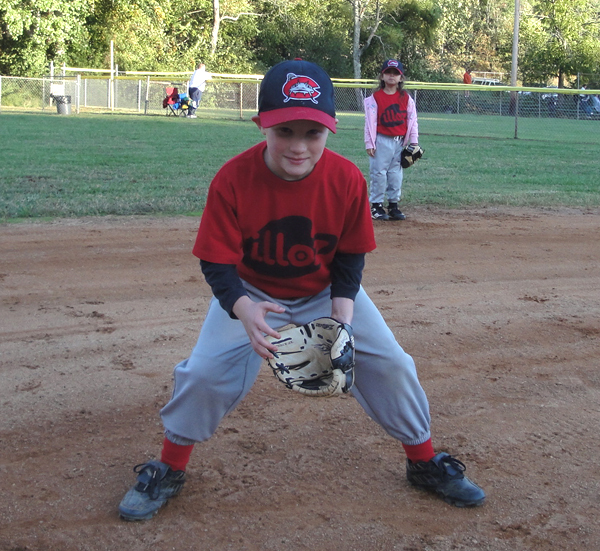 Robert Zimmerman The illoz Mudcats! 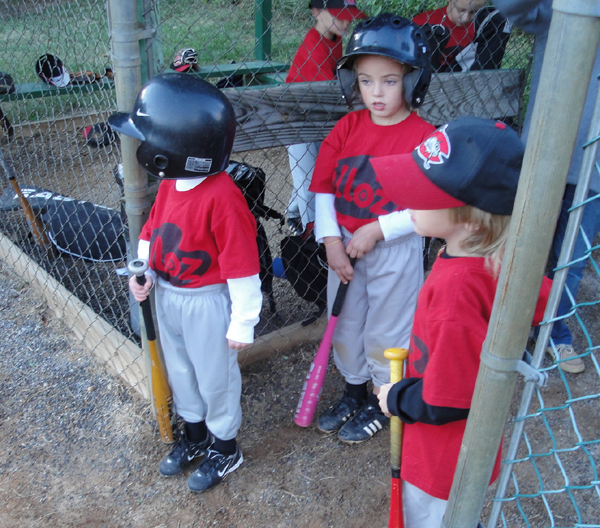 I think that professional baseball should tear a page from the Mudcats playbook. I could see a batter wrestling an outfielder, or a batter running past the pitcher for second base. I could even see some Yankies clambering to the Harlem River for some albino Salamanders. 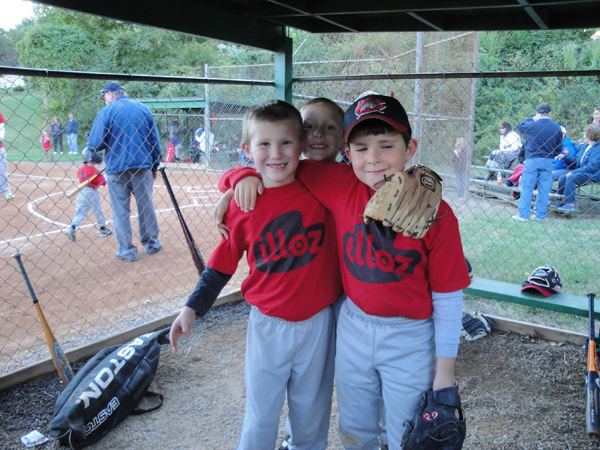 I love the combination of baseball and wrestling... great pics Zim! 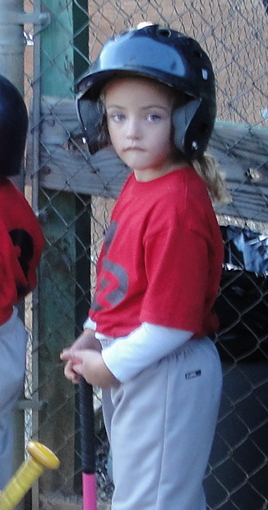 Yup, that's definitely t-ball. Love it. Coached 3 times. First objective is to get them st stop tackling each other for the ball. The first time they hit a coach pitched ball is magic! Thanks for these great photos, Zimm. 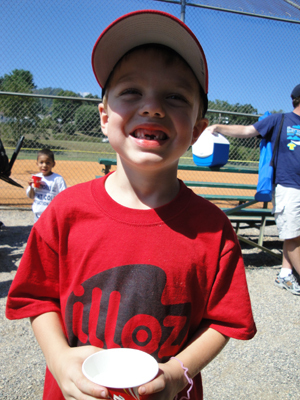 T-ball and Little League games are the best, anything can happen out there. Ohhh this is so cute. Thank you for the post Zimm! Fun, Zimm! And a great use of the Illoz brand. 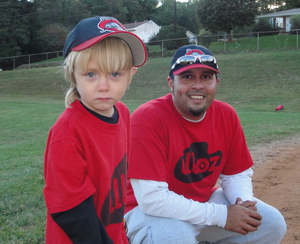 Kids are what baseball is all about! This yearly post always brights my day! Well done, Zimm! Way too cute!! Glad to see our annual fees going to good use;-)) Thanks for posting, Zimm! As the father of an 8 year old on a baseball team, I have seen the many happy moments of the kids laughing, having fun playing regardless of the score, just being kids. Nice to see someone share a bit of the world of kid's baseball. It really is the game at its best. What a bunch of cuties. Love the pink bat too. Great photos..! Thanks for sharing, Zimm... doesn't get any better than that little boy(?) 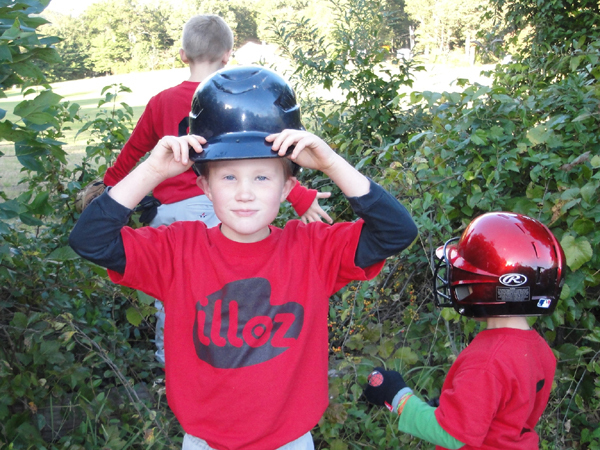 with the batting helmet that swallows him whole. Absolutely adorable. I have no idea about baseball but these look like some of the handsomest players i've ever seen.